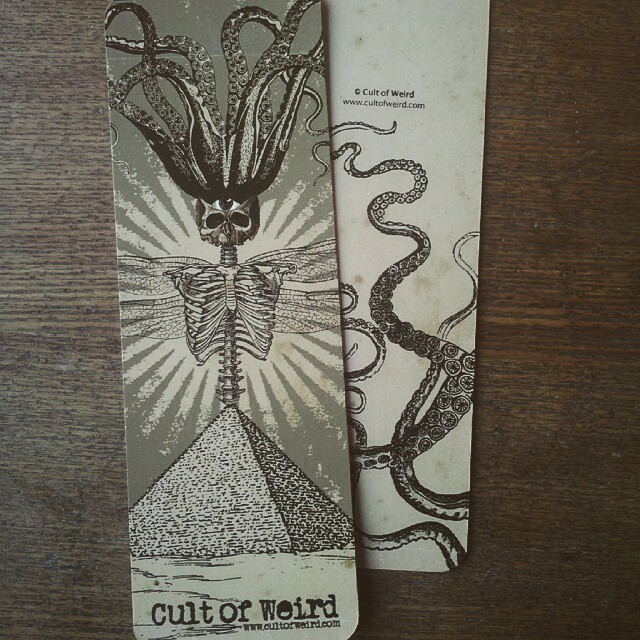 The first round of Cult of Weird bookmarks are in! The art is a collage of Victorian octopus, anatomy and insect illustrations printed on heavy, environmentally friendly 15pt card stock. I also made a limited number of bookmarks with brass scarab and raven skull pendants. Get them while they last in the Cult of Weird shop.